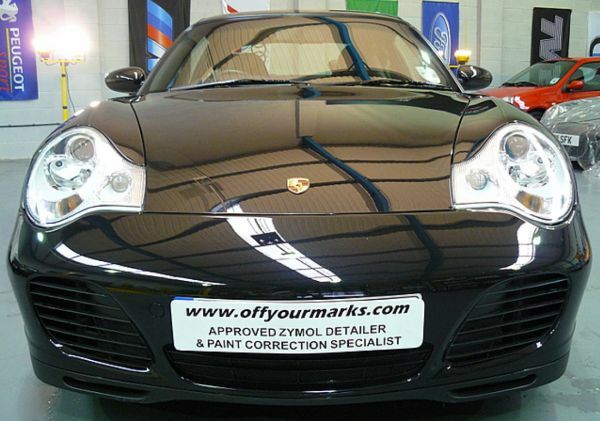 Paintwork correction is my forte and I have carved out a desirable reputation over the years as one of the very best in the business. 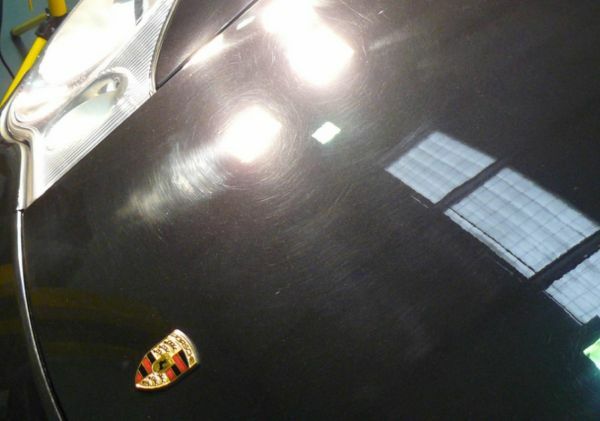 Paint correction is a term widely used for a complex process that can completely remove unsightly defects from the paintwork, plastic lenses and coloured surfaces found on a vehicle. It is a process that can yield dramatic results done by the right person who has the skill, patience and desire to create the perfect finish. Unfortunately this process is being adopted by people with little or no experience who provide a finish that at best ‘improves’ the surface. Sadly in some cases that I have witnessed there have been examples of work completed by others that have made the finish worse than it wasin the first place and left in a severely compromised state. Would you let just anybody work on your vehicle? By choosing my most desired detail you will allow me to take your vehicle to the highest level of condition and appearance. The Correction and Protection detail builds on the comprehensive elements of our Enhancement and Protection detail. Your vehicle will benefit from the inclusion of my multi stage Paint Correction process. By removing unsightly swirling, webbing, holograms and surface defects your paint will be left in c position to reflect light perfectly without interference from unsightly surface marring. Paint Correction is achieved through a time consuming and meticulous machine-polishing program with many, many variables. This process Is not to be confused with 'mopping' or ‘buffing' offered by bodyshops or valeters or the type included by some detailers. Done correctly this process can add between 15 - 20+ hours alone to the other processes depending on the defect level, paint type and vehicle size. Be wary if it is claimed that a full detail including paint correction can be completed in a clay - comets will be cut, usually in areas that aren't immediately obvious. The use of an over aggressive compound that removes a lot of paint or clear coat could be used to speed things up. This is not the correct way to achieve safe defect removal. If you are considering Paint Correction then please ensure It Is done right first time as mistakes by others cannot always be rectified. Off Your Marks will not compromise on correction work and it is always completed thoroughly and to the highest standard. 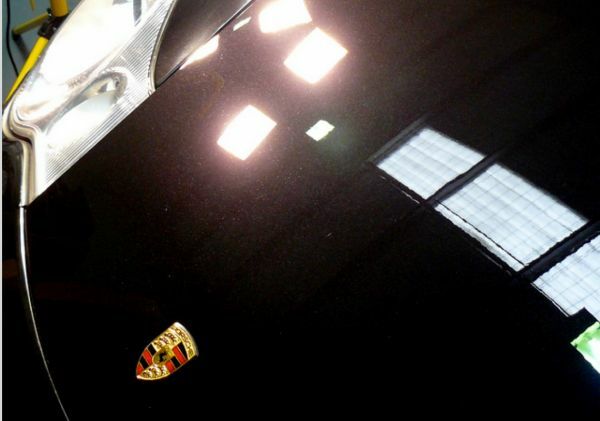 Therefore our correct and protect detail will take around 3 days to complete for lightly compromised paintwork. For more severe swirling typically found on neglected or older cars then 3-5 days may be required. I have spent over 2 weeks in some cases. I am unable to give firm pricing without appraising your vehicle as every car and condition are unique as well as the Individuals interpretation. home scratches may appear minor in appearance, only to be deep, on the other hand some may look terrible but easily removed. Once the corrective stages are complete then the same meticulous attention to detail as found in the Enhancement and Protection detail package is applied to complete the service. Again you can choose the choice of products I use during the initial stages and the final stage. I carry and use only the highest quality products from around the wood and can tailor the yet. to suit. You can simply drop your car with me at my detailing studio safe in the knowledge that your car is In the hands of ‘the detailers detailed’!